Belsoy’s 100% plant-based cream variation is versatile and easy to include in your everyday cooking and recipes. 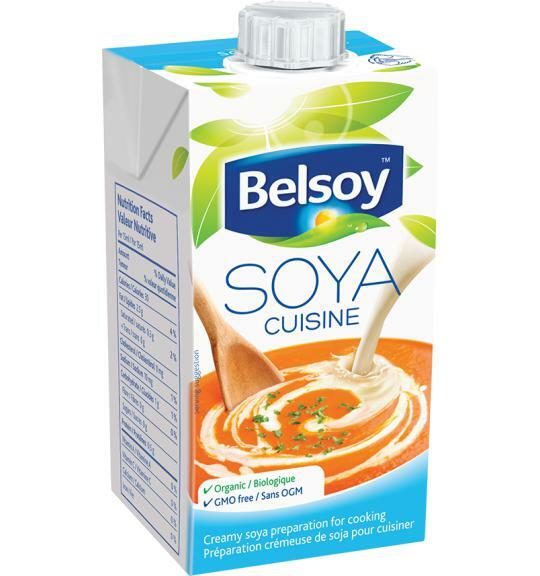 Rich in flavour, Belsoy soya cuisine is perfect to prepare all your dishes. stabiliser (organic guar gum*), sea salt. Contains soybeans. *= from organic farming, certified by CERTISYS BE-BIO-01. Contains soya. Naturally lactose free & dairy free. Wheat & gluten free. Contains soybeans.